Yeah Zine Issue 9 - PREORDER! 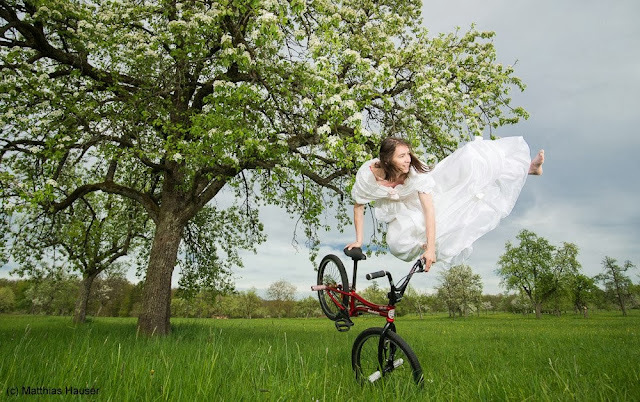 Check out some of these cool photos of our flatland rider Monika Hinz, by photographer Matthias Hauser. Yesterday was super exciting! I finally got to meet and ride with Natalie Noble! We've been talking for probably a year now, and we are also Alienation Inc. team mates! Natalie has been traveling around for a bit riding her bike and she texted me the other to day let me know she would be in my area! We set up a time and met up at the Alameda Skatepark, a park that I had been wanting to check out for a while now. It took us both about an hour to get to the park, although we got lost so it was probably more. We finally ended up on an abandoned Navy base with a ton of really cool, creepy old buildings. The park itself was really awesome. It was definitely old, and a lot of the concrete is uneven, but it has a ton of cool hips and things to jump. I think it might actually be one of my favorite new parks in the area. 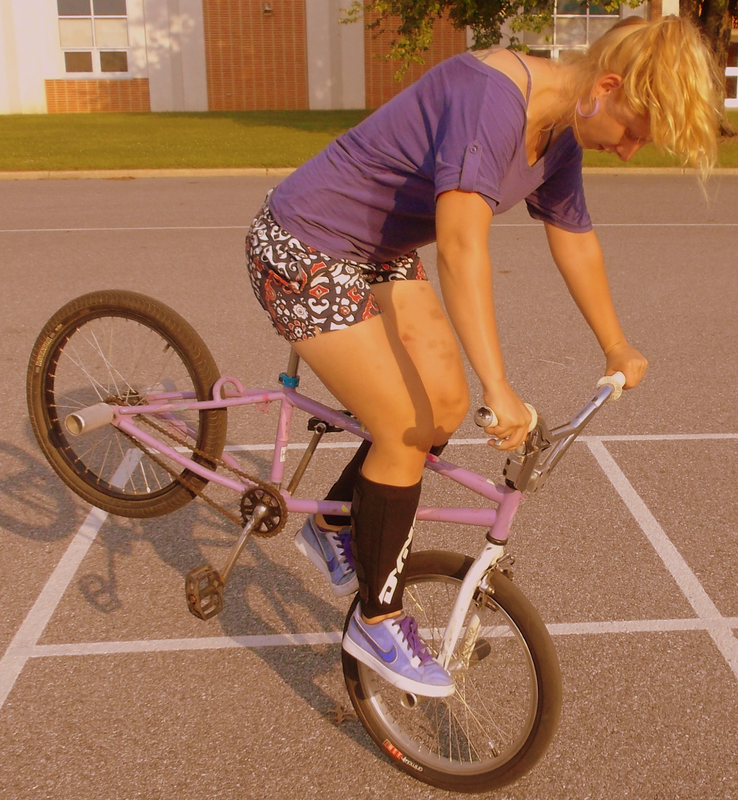 We rode around a little, Natalie got some clips, and then we decided to go exploring for street spots. windows, caved in floors, graffiti, and one ceramic toilet, it was definitely fun, and a little creepy, exploring all the spots. Of course every time we walked up to anything Natalie would see if the doors or windows (if there were any) would open. At one point we were on the balcony of the second floor, and I'm just really happy we didn't fall through, holes, sinking, and creaking weren't too reassuring. We didn't find any decent spots to ride, but it was still a good time, and I'm so glad I finally got to shred with Natalie after all this time! This summer was by far the most eventful one yet. Some of the things I got to do were, 3 years ago, only existent in my dreams. I feel like to me, every little thing I am able to do is blown up even more because of that fact that it means I'm beating my anxiety little by little. 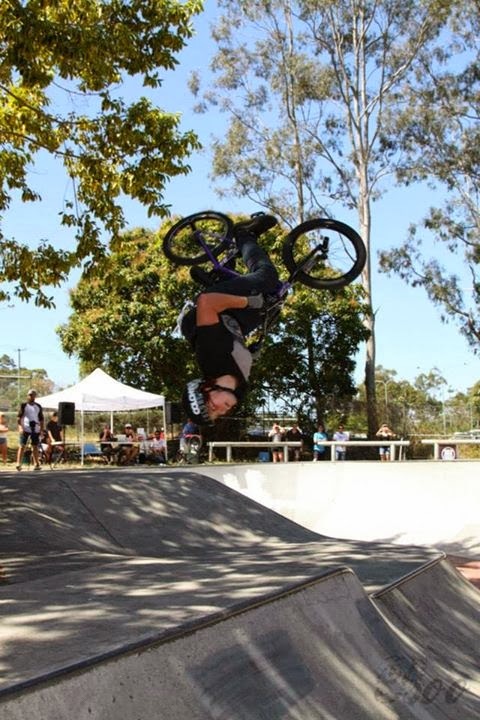 So not only am I achieving my BMX dreams, but I'm overcoming huge challenges at the same time. Such a great feeling! Let's start with the first event of the year. Recon Tour in San Jose, CA. 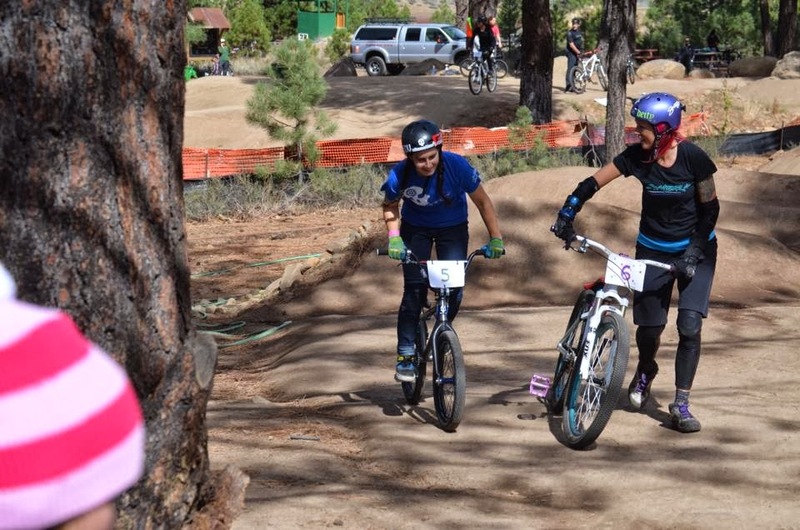 First contest of the summer, 104 degrees, and some intense shredding. 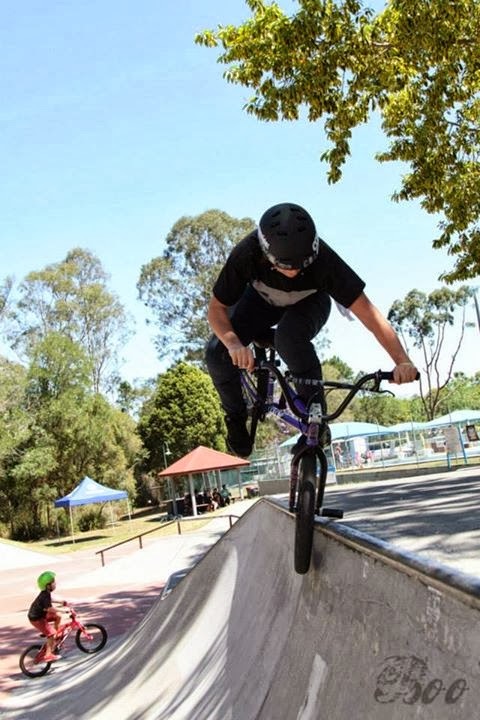 Lake Cunnignham Regional Skatepark is definitely not the best set up for a competition, and the heat got the best of me, but it was still a good time hanging with everyone for sure! 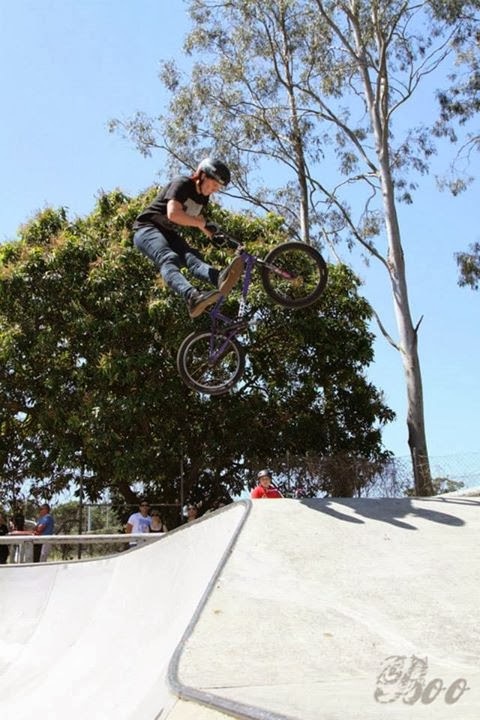 Fortunately, I was feeling better on the way home, and I stopped in Clayton, CA to ride a BMX show! 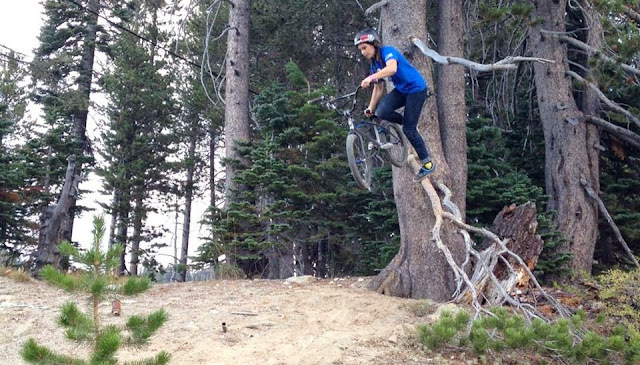 Next, it was time to hit Woodward Tahoe! I went back as a Junior Counselor this year, and as usual had a great time riding bikes, hanging out, and enjoying the beautiful Tahoe summer weather. Woodward Tahoe has been a huge part of my life since it's opening year in 2012, and because of their amazing staff and accommodations, I was able to go there and make some huge dreams come true. When I got back from Woodward Tahoe, I got some bad news. 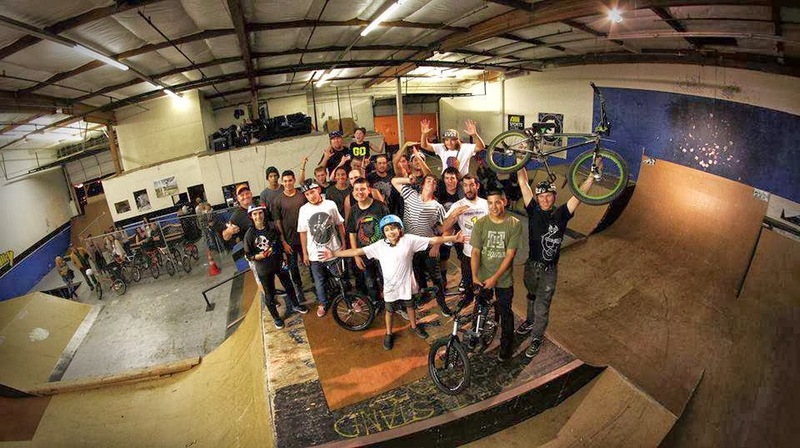 Ramp Rats, the indoor park and only park I ever rode would be closing. Without Ramp Rats, I would not be where I am today. We decided to do a Last Dance Jam and it was a bittersweet last throw down session with my Ramp Rats family. Just a few weeks later was the big event of the summer. X Games. I was lucky to get the opportunity to bring some of my FDV Clothing team riders down to LA to do demos and coach in the interactive zone. This was a huge thing for me personally, as everything I was doing was going against my comfort zone. But it was so worth it. We worked hard, coaching thousands of kids for 4 days, putting on some shows for the crowd, and working booths. Thanks to my uncle's hotel points, we got to stay in the J.W. Marriott Live, and let me tell you, I was in awe the entire time. One of the coolest things about X Games was finally meeting up with Nina, Angie, and Lindsay. It was amazing getting to shred with other girls, and we had a great time! 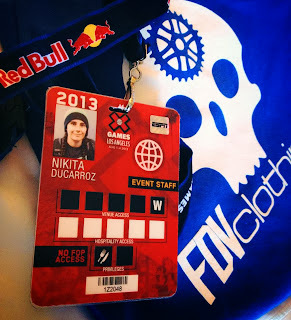 You can read all about my day to day adventures at the X Games HERE. 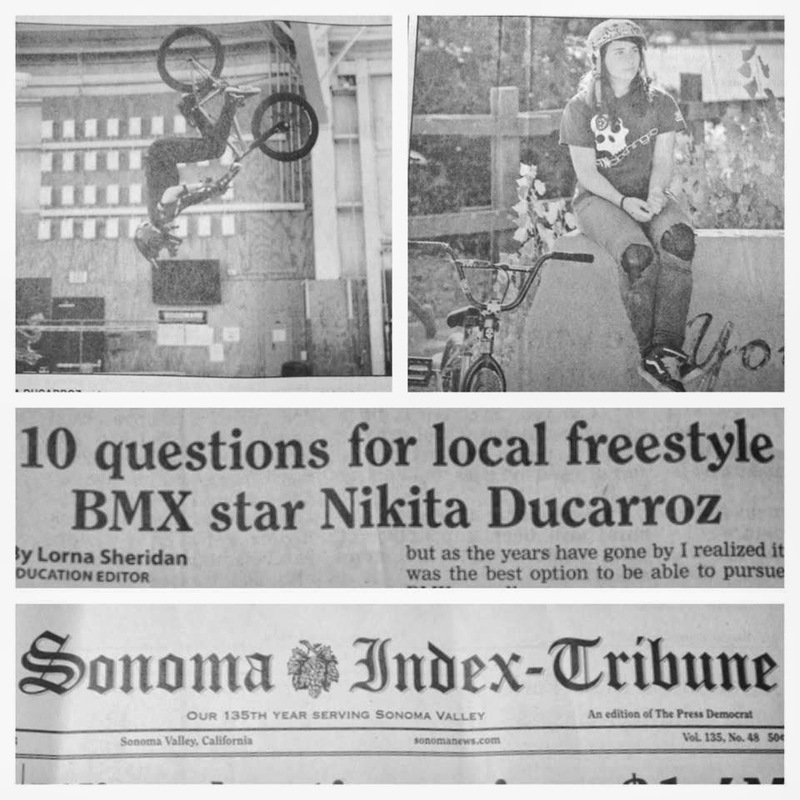 When I got back from X Games, I was contacted by two local newspapers to do interviews about BMX and life in general. This was my first newspaper interview, so it was really exciting for me! The first one came out a while ago, and the second one is slated to run this Sunday! I'm really hoping that these two articles give BMX some more exposure in our town. Next, it was back to Woodward Tahoe. This time it was just a weekend trip, as camp season was over, but I shredded my heart out for those two days, and it was great seeing the Woodward Family again. Also met up with my local boys so the session was definitely going off! I was home for a little under 2 weeks and then it was back on the road again, this time to San Diego for the Ride BMX No Fear Proving Grounds contest. A more detailed account of my trip to SD may be popping up somewhere soon, so for now we will keep it quick! I was definitely stoked about this contest because any event that Jon Faure puts on is always a good one, and I absolutely LOVE San Diego. 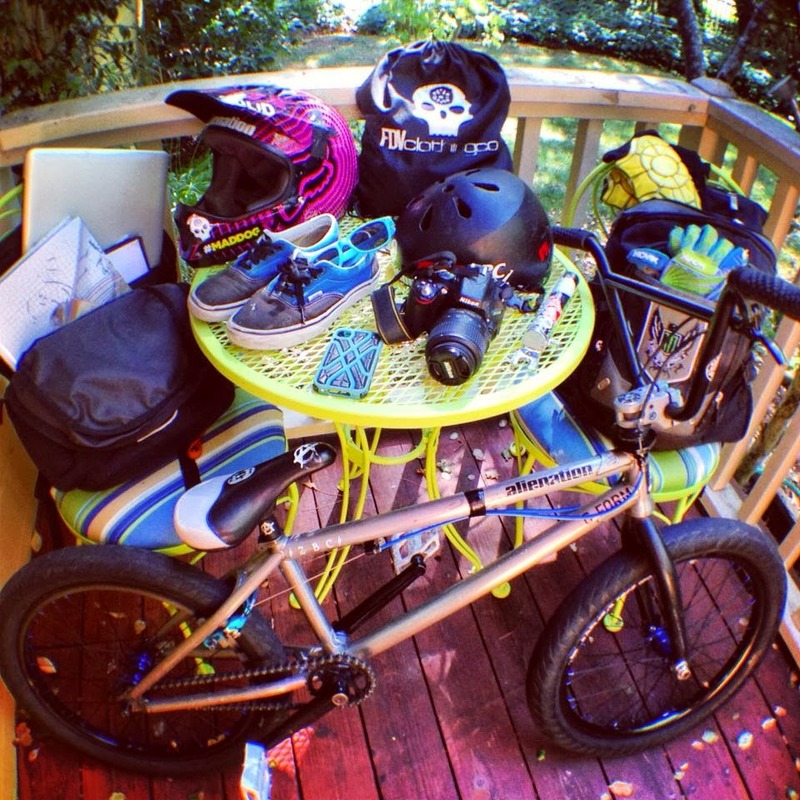 I had a great time there riding the contest, Dennis Enarson's backyard ramps and visiting with my cousins. 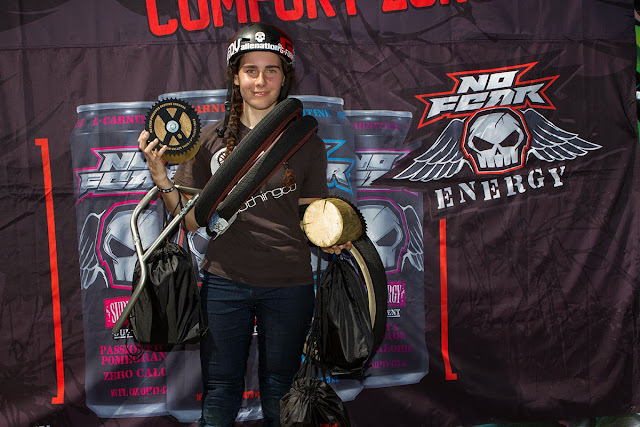 I ended up taking 1st in 18+ Novice. 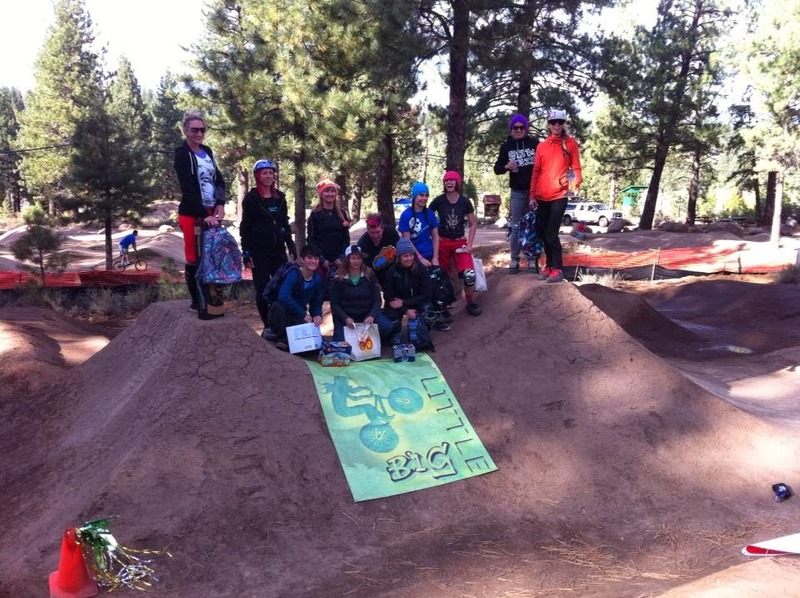 The last event of the summer, before I came home to rain and windstorms, was The Little Big Women's Ridestyle event in Tahoe as well as a quick stop at Woodward Tahoe. 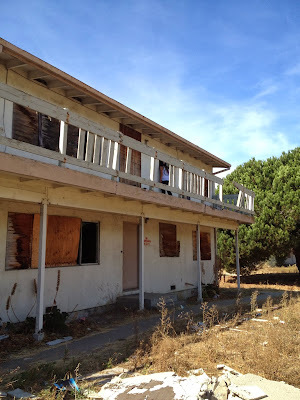 Read more about that here in my first installment of Nikita's Corner. 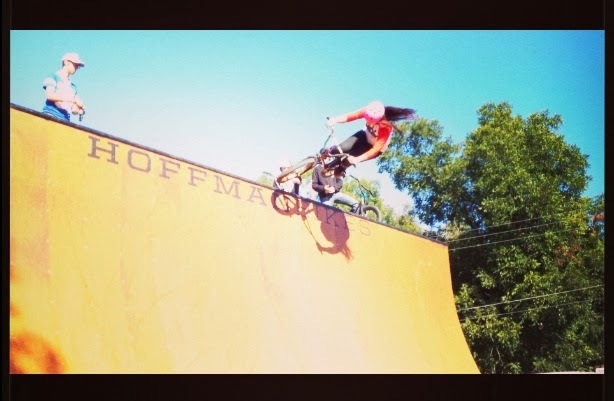 There are a lot of reasons to not ride flatland. It's hard. It's time consuming. It can be expensive or hard getting the right parts for your bike. 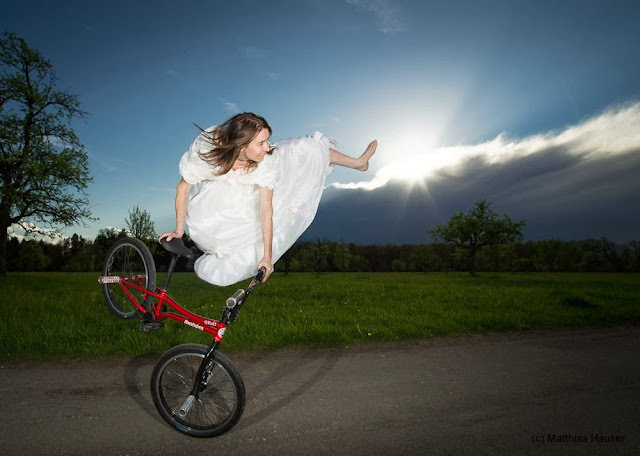 Despite all the reasons to not ride, girls around the world are picking up a BMX and learning! 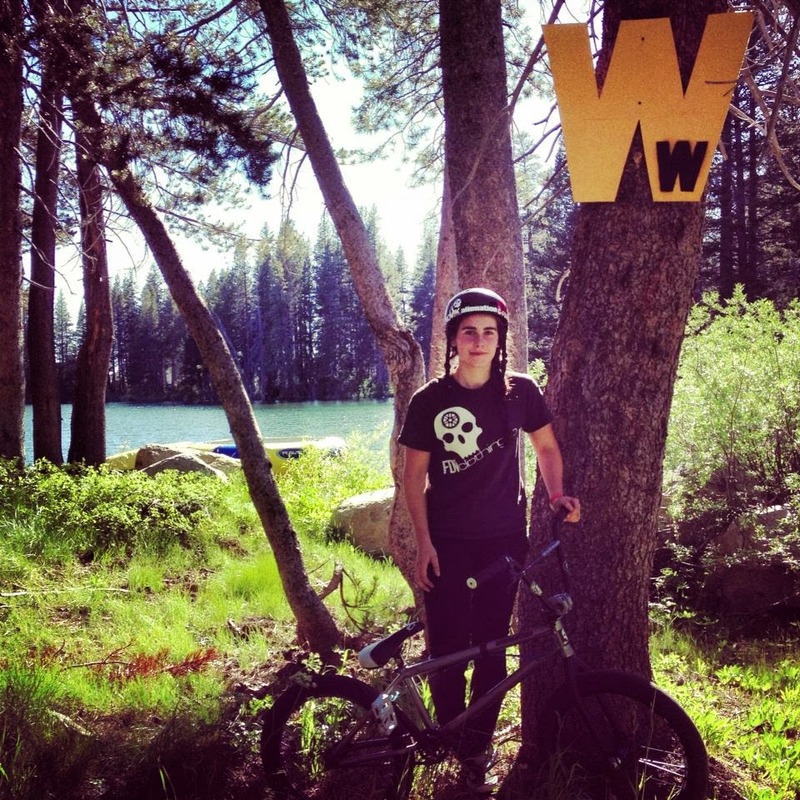 Meet Bojana from the USA, be inspired and go ride! My name is Bojana (Boyana), but most people call me Bo. I am a Serbian native, living in the US. Languages and photography have already been a passion of mine and I have discovered one more. 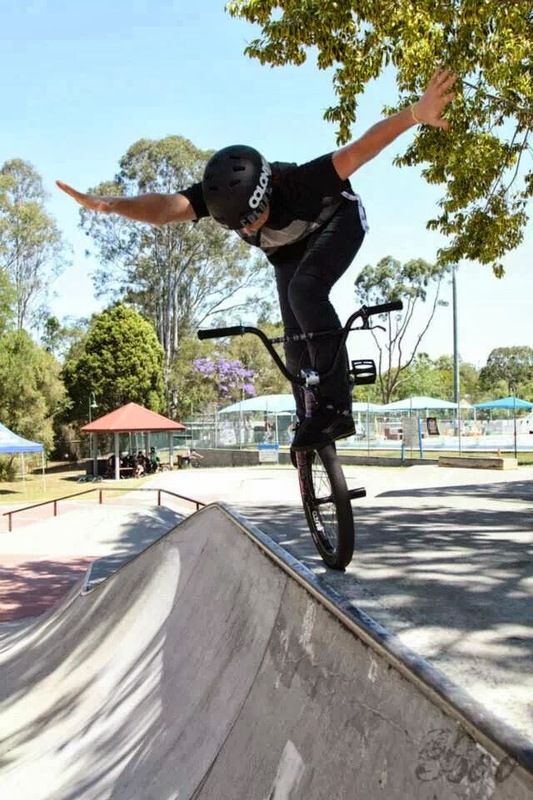 Just like learning another foreign language, learning a new trick in flatland provides me with the great sense of accomplishment and only the rider knows what it feels like when you learn something new. I guess that feeling keeps pushing me forwards, motivating me to learn even more. Determination and patience play a huge role when I ride. Despite being very difficult and demanding on your body, flatland taught me a lot about focusing my mind and strength on the body movements on my bike, and I enjoy that. I became a lot stronger since I first started riding flatland. 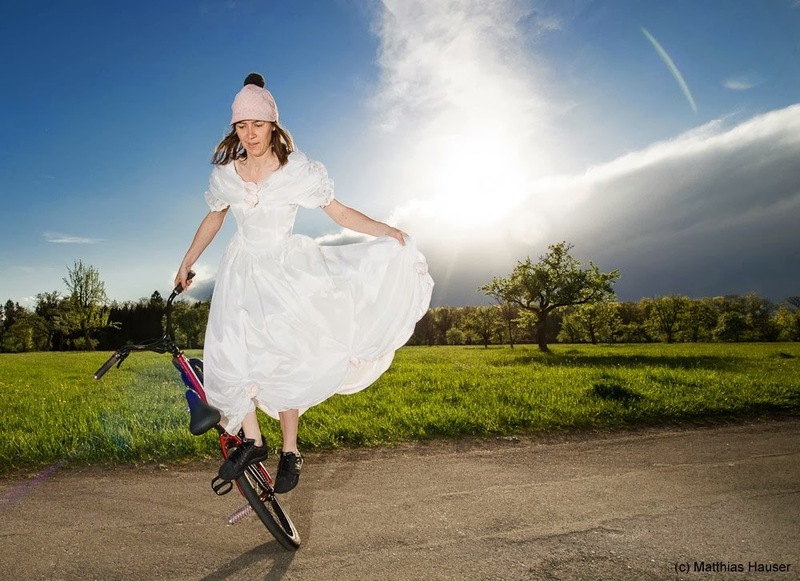 Girls are said to have better balance then men, and I truly believe that any girl can learn to understand her bike by riding flatland and eventually conquer it. Again, patience and a lot of repetitions are crucial. I am happy to ride with one of the best people in flatland and I am surrounded with positive energy each time. 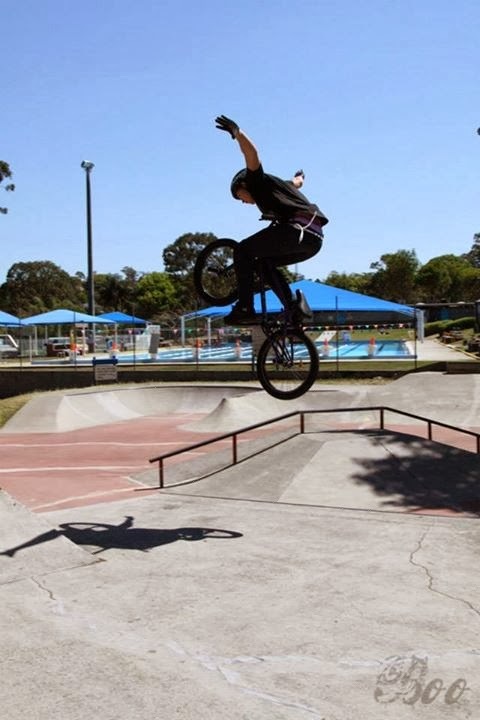 Every accomplished trick makes me go for more, and I guess that's why I ride. 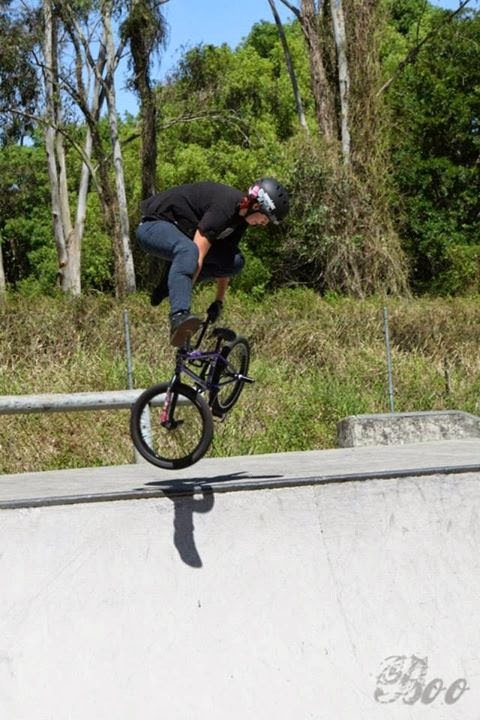 I never thought I could be capable of doing something like flatland. Not a lot of girls or even riders, are as hooked up as Nikita is at her age. I have a lot of respect for Nikita, she's smart, a great rider who is continually improving and is an even better role model. 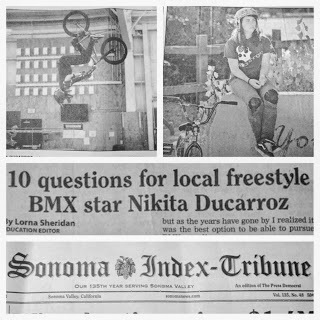 Because of this, we're giving Nikita a corner, so she can freely post here about her BMX adventures. Here is her first entry! This past weekend was definitely a fun one! I was planning to go back to Woodward Tahoe after my contest in San Diego to see all the Woodward family again, as well as practice a few things, but hadn’t set a date yet. When I heard about The Little Big Women’s Ridestyle event happening in Truckee it was the perfect time to go! My mom and I ended up driving up to Tahoe on Saturday morning, and got there around 1, just in time for a nice long session at Woodward Tahoe. 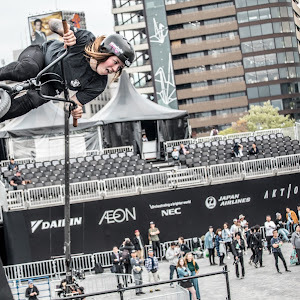 I met up with some of my buddies and while I didn’t land any new tricks, I definitely worked on them.a lot…until I literally couldn’t stand anymore. Anyways, back to the session. Everyone was sort of trying different things, but nothing real big was going down. All of a sudden this dude Ben decides, “I’m going to try a double flip”. So there he goes, throws it, and almost lands it clean. Well word traveled fast around the bunker, and pretty soon almost the entire place had gathered around the resi to watch what was going down. That prompted Chase to decide that he wanted to try a double flip as well…so there he went, BOOM. Landed clean. The whole bunker goes crazy. So of course that get’s everyone else super pumped, and we all start throwing down. 1080’s, flip trains, flip whips, al sorts of stuff, while the Woodward Tahoe bunker watched and cheered. It was a super cool feeling, like an impromptu BMX demo. It was definitely a good time. Around 8:00pm I got to watch the premiere of this cool skate documentary called Underexposed. 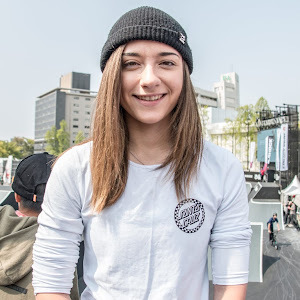 The girl who directed it, Amelia Brodka (also a women’s pro skateboarder) was there and it was really cool meeting her and seeing her film, as it documented a very similar situation to women’s BMX. 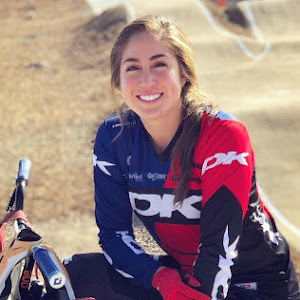 The next morning, we headed over to the Truckee Pump Track, where I was to compete in The Little Big, a Women’s Ridestyle event. It was definitely a little bit intimidating when I got there, I’ve only ridden dirt a few times, and definitely had never tricked it. It was definitely sketchy at first, as it was more of a pump track with some medium jumps, very tight, and very fast. 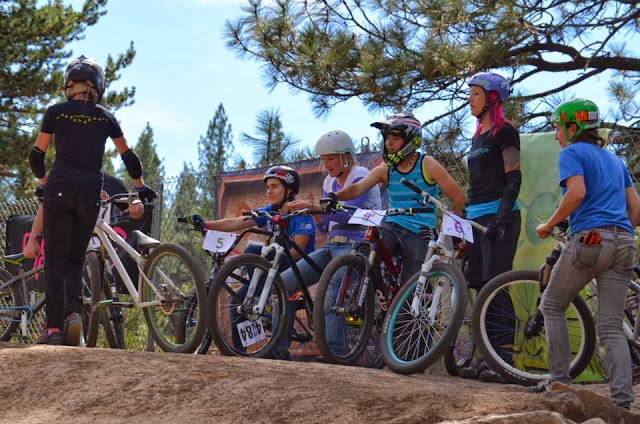 It was super cool to be up there with the pro MTB girls, like Kat Sweet, Lisa Tharp, Stephanie Nychka, Cortney Knudson, and a bunch more, and the contest was really fun! It was jam format, so we got a bunch of runs to try what we needed. 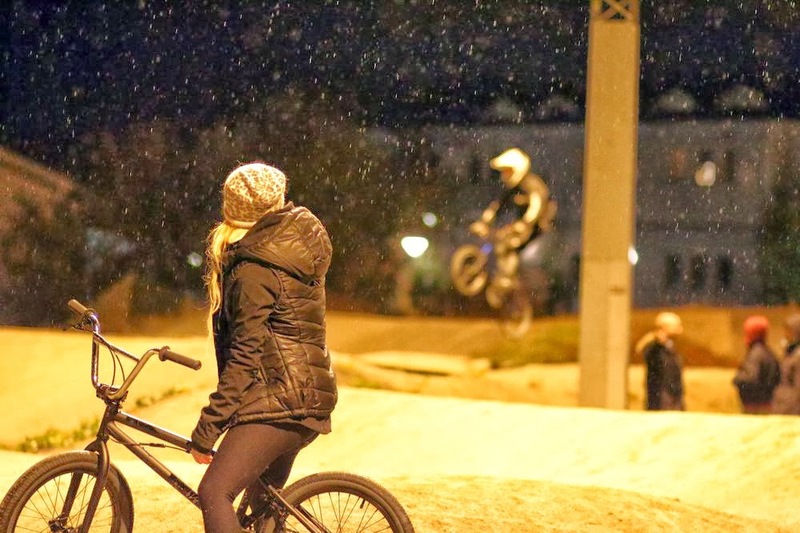 I couldn’t match up to the MTB style that the rest of the girls had, but I did manage to throw bars, 1 footed euros, and cans over some of the jumps, which I am still super stoked about! All in all, it was a great time, I definitely progressed a little, and I met some really awesome people! Just another adventure my bike has taken me on.